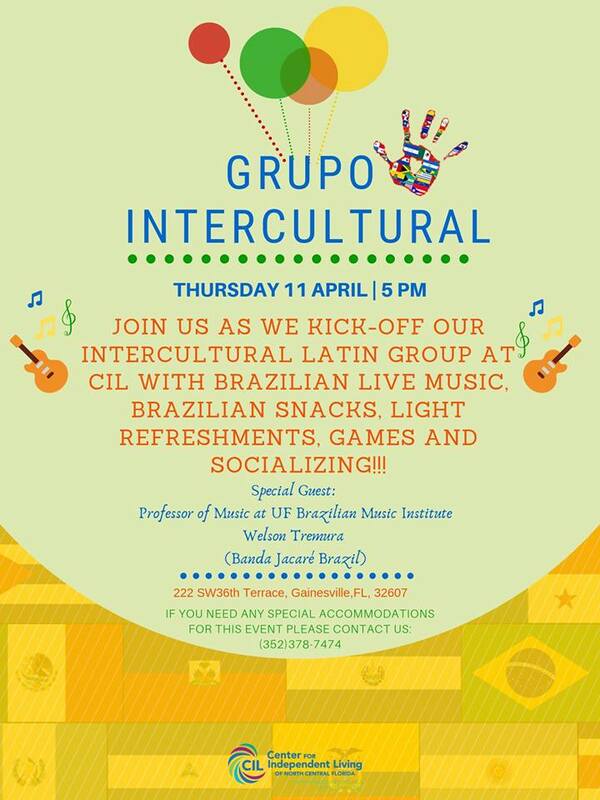 Do you want to try delicious Brazilian snacks, enjoy live Brazilian music, and hear from guest-speaker Welson Tremura, a professor of music at the UF Brazilian Music Institute and co-director for Jacaré Brazil, a Brazilian music ensemble? Join us at the Center for Independent Living tomorrow, April 11, at 5 p.m. as we kick off our Intercultural Latin Group at the CIL! This new group was started to reach out to Hispanic/Latinx people with disabilities and to “create a new community,” according to Nicolli Sorice, the event organizer and Hispanic Outreach Core Specialist at the Center.